I am through with beauty subscription boxes, and I have been for quite some time now and for a long time I've been meaning to start a monthly series where I hand pick products to go into an imaginary subscription box. The thing with monthly sub boxes is that although they hold a surprise when they drop through your letterbox, that surprise isn't always a good one. I for one was sick of receiving products that I didn't like or couldn't use so I thought why the heck am I wasting £13.25 (Glossybox inc. postage) on a box full of uselessness... why not save that £13.25 and buy things that I actually want?! So the notion behind this monthly series is to show you what I'd buy with my £13.25, obviously with normal sub boxes you only get 1 full sized product for your money and it usually comes with at least 1 teeny tiny perfume sample and a skincare product that probably isn't suited to your skin so to keep things realistic and doable I am going to aim for between 1 and 3 products in every box. These products will obviously always be full sized so therefore more expensive but I reckon I can still squeeze 3 products into my £13.25 budget. I know lots of sub boxes claim to be 'luxury' but let's be fair, they're not always luxury products (which is one of the things that irked me the most about them!!) so although most of what I will feature will be high street, don't forget that the point of this 'box of things I actually want' is that I am not wasting the money on a box full of products I don't want regardless of whether they're luxury or high street. I wanted to try and recreate a Kylie Jenner style lip and Adrienne from The Sunday Girl recommended both the Rimmel Lip Liner and Bourjois Rouge Velvet as a high street alternative to the MAC liner. 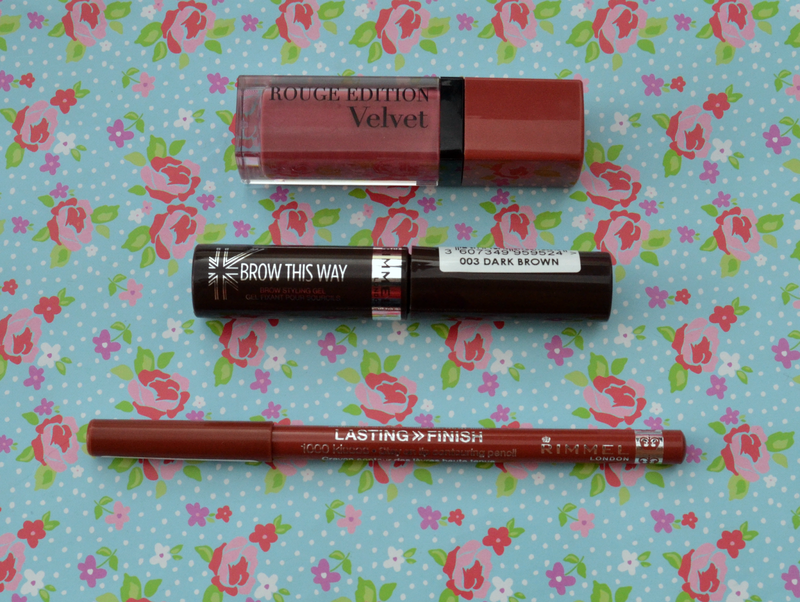 I know I like the Rouge Velvet formula as I have one in 'Hot Pepper' so I'm looking forward to trying these out. I chose the brow gel simply because I want to compare it to Maybelline Brow Drama; it's a pound cheaper and the wand appeals to be more than the Maybelline one so we shall see which is the best. Are you still doing Subscription boxes or will you be trying my version? Such a good idea, I think beauty boxes are a bit of a waste of money too! Love this post! Been toying with the idea of a subscription box but was never sure if it was worth it! Thanks, I definitely won't be getting one now. Love the idea of this! UK beauty boxes need to up their games!